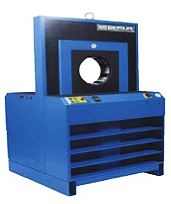 Established in 1999 is old name “Bankhai Hydraulic (1999) Ltd.,part.”. The first product is hydraulic hose assembled and fitting supply. Hose couplings are usually required for the connection of hoses to an installation. We know from experience that many mistakes are made with the choice of couplings and their assembly on the hose. We will therefore be pleased to advise you about the correct type of coupling the assembly method. Besides a complete range of hoses MATC provides a full range of hose couplings and hose clips. 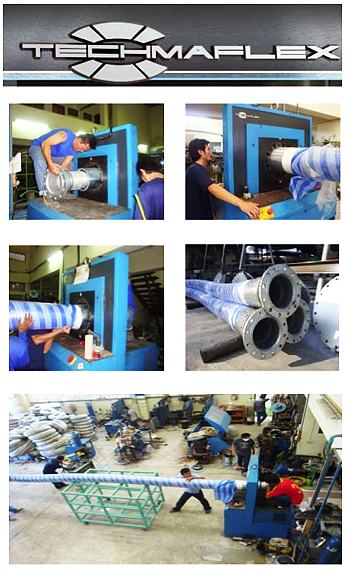 We can also professionally assemble couplings on hoses for you. 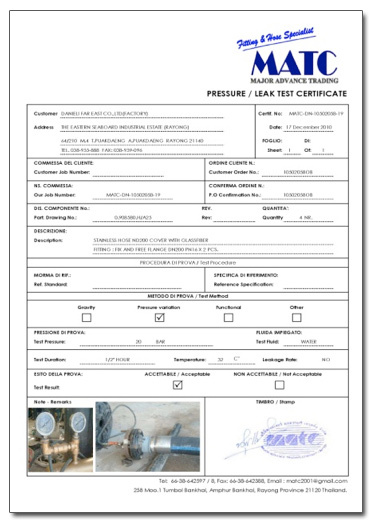 The assembled hoses can be tested at pressure in our test department with a test certificate being issued. Obviously acceptance under the supervision of Quality Inspection Department is possible.